Everyone deserves and needs a good night’s sleep. Unfortunately, because many people have the wrong window treatments, they miss out on a restful night. If you’re like 73% of all Americans, you prefer a totally dark room for sleeping. And a window treatment plays a huge role in achieving that. At Window Treats serving Holmdel, we’ll be happy to help determine what type of treatment would be best for your nightly sleep. Contact one of our representatives today. Every Hunter Douglas window covering provides some measure of light control, depending on the fabric and color you select, light gaps, seams, and rout holes. For complete darkness, you should find blackout materials. For only room-dimming, a semi-opaque fabric that allows muted light to enter the room might be a better idea. 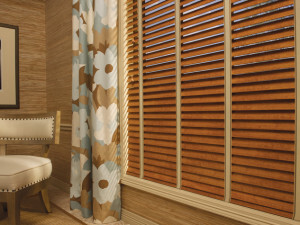 Regardless of your choice, Hunter Douglas window fashions has the perfect blinds, shades, or shutters to meet your needs. Blackout materials are the best choice for a room where you want total darkness-like your bedroom or a baby’s room. For wood and aluminum blinds, ask for the de-Light™ feature, which counteracts the rout holes. To minimize the light gap, you might also want to mount your blinds or shades on the outside of your window frame. 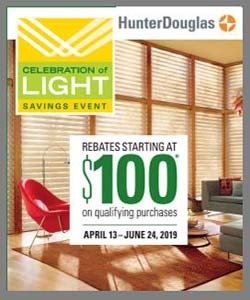 For best results, consider Duette® Honeycomb Shades, Modern Precious Metals® Aluminum Blinds or wood blinds with de-Light™, roller shades, or shutters. Semi-opaque and opaque materials almost completely block out the light-they don’t entirely eliminate light. For room-darkening materials, check out Duette® Honeycomb Shades, Silhouette® Window Shadings, and Pirouette® Window Shadings. You could also choose to add a liner, which is available on Silhouette® Window Fashions, Provenance® Woven Woods, and Designer Roller Shades. 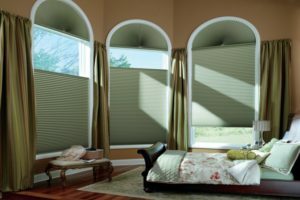 Window Treats, Inc., is a service-oriented business specializing in custom blinds, shades, shutters, draperies, top treatments and window treatment motorization options. We serve residential and commercial customers throughout New Jersey including Middletown, Holmdel, Rumson, Colts Neck, Fair Haven, Little Silver, Long Branch, Elberon, Deal, Shrewsbury, Allenhurst, Spring Lake, Jersey Shore, and all of Monmouth County, NJ.